In 2014, my twin daughters made a very early appearance — only 27 weeks into my pregnancy. My severe and early onset of preeclampsia caused complications with one twin’s connection to the placenta, and my doctor quickly decided it was safer to take them out than to leave them in. My daughter, Ilana, lived for only three days. My husband and I then spent 90 long days in the NICU with our surviving twin, Goldie. Spending day after day in the NICU, that’s tough. Burying your baby when you should still be pregnant? Let me tell you, that is tough. But it was about six months after coming home with Goldie that I realized that my definition of “tough” would never again be on the same scale as someone else’s. Maybe it never was to start with, but I just didn’t know it. In the beginning, I struggled deeply with friends, family, and random Facebookers describing their experiences as “tough.” I threw daggers at them with my mind. I unfriended or unfollowed with regularity. What did they know about having it tough? And I cried as I thought about the things I wanted to tell them: “Don’t complain about having to hold a fussy baby all night. At least you have your baby to hold.” Or, “Don’t cry when your baby gets vaccines until you know what it’s like to see your baby have an IV placed in her head.” It wasn’t healthy for me, that’s for certain. But you know what else? It also wasn’t fair to the parents facing the experiences I was downplaying. 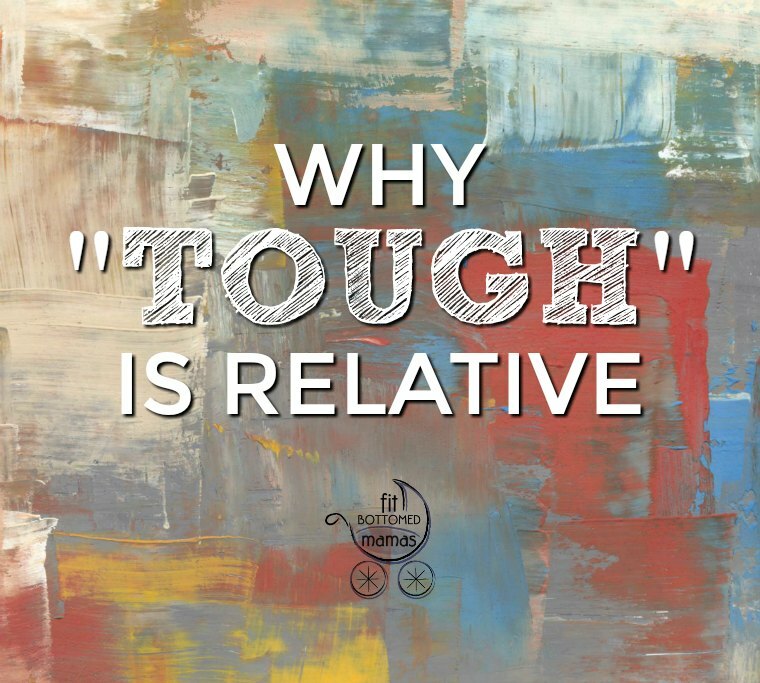 What I have realized since then is that everyone’s definition of “tough” is relative to him or her. I might have gone through something absolutely terrible, but that doesn’t mean that their experience is easy. It’s just only as tough as they’ve experienced — and tough is relative. Likewise, I know there are those who have had it tougher than me. As moms, we are all doing everything we can to keep our head above water. We all have our struggles and our wins. If we allow ourselves to be more gentle with others, the world might be more gentle with us.